By Rodney D. Barfield and Patricia P. Marshall. African American master cabinetmaker Thomas Day (1801-1861), of Caswell County, North Carolina, had an outstanding career and achieved remarkable social standing during the state's antebellum period. Thomas Day was a free black who lived in the Dan River town of Milton. He was educated, owned property and slaves, ran a successful business that made furniture for some of the state's most prosperous white citizens, and was a member of the Presbyterian Church of Milton. 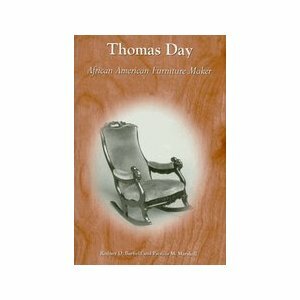 Thomas Day is considered by many in the field as a founder of the modern Southern furniture industry. North Carolina Office of Archives and History (2005), English, Paperback: 69 pages.